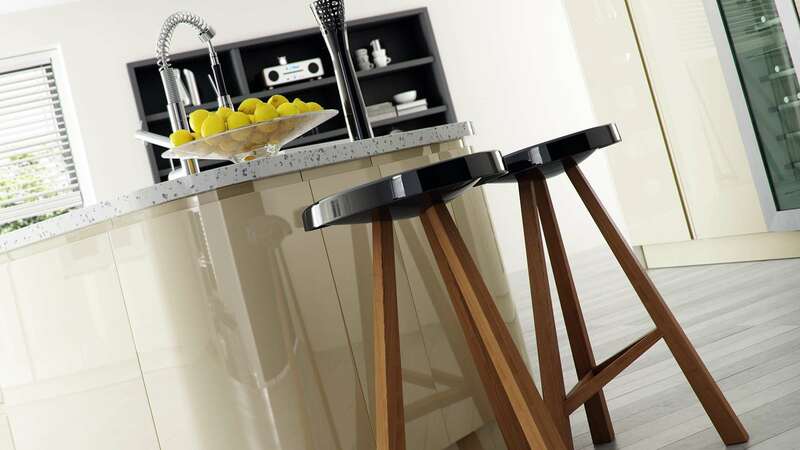 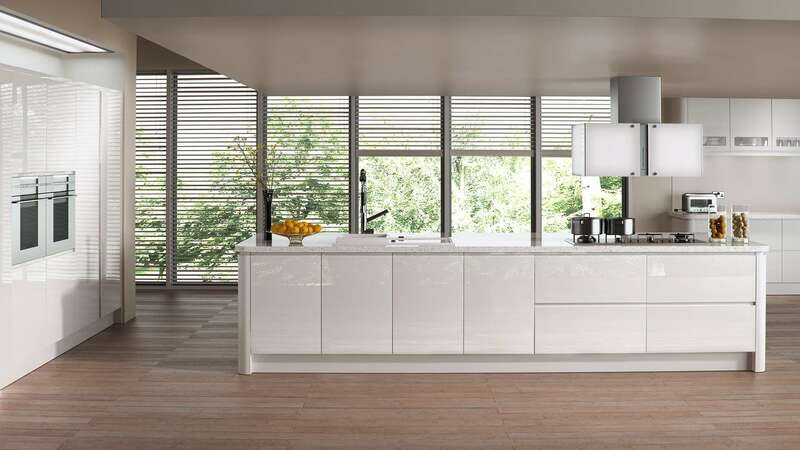 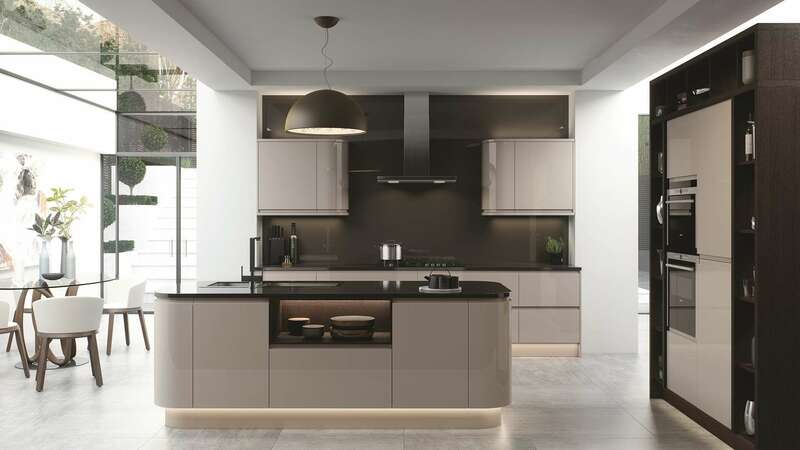 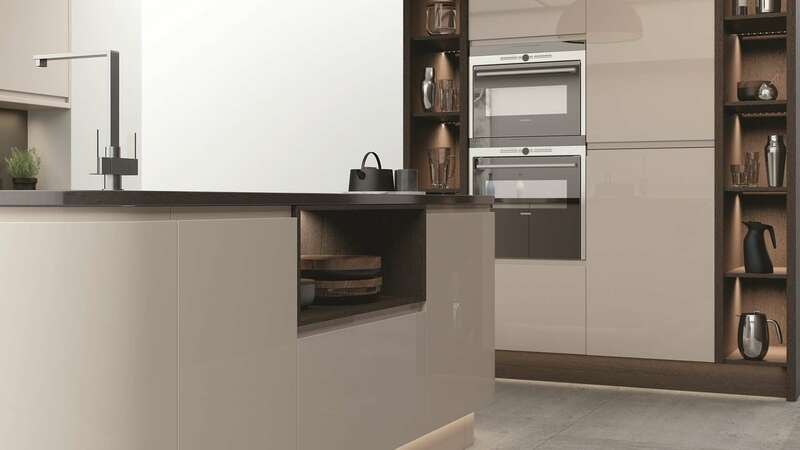 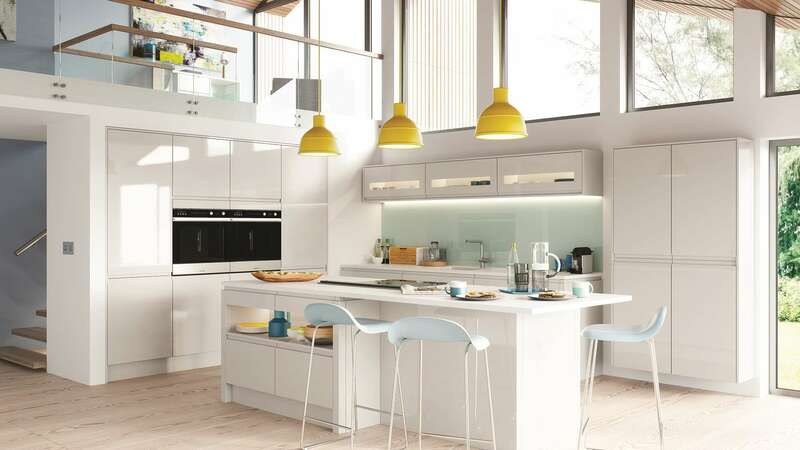 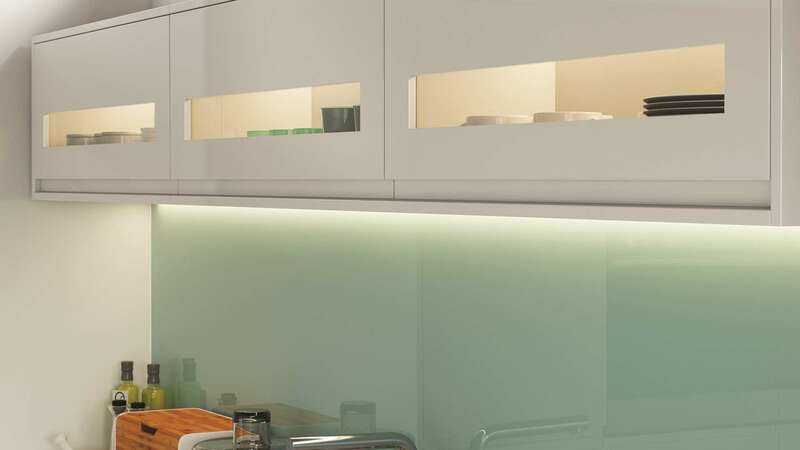 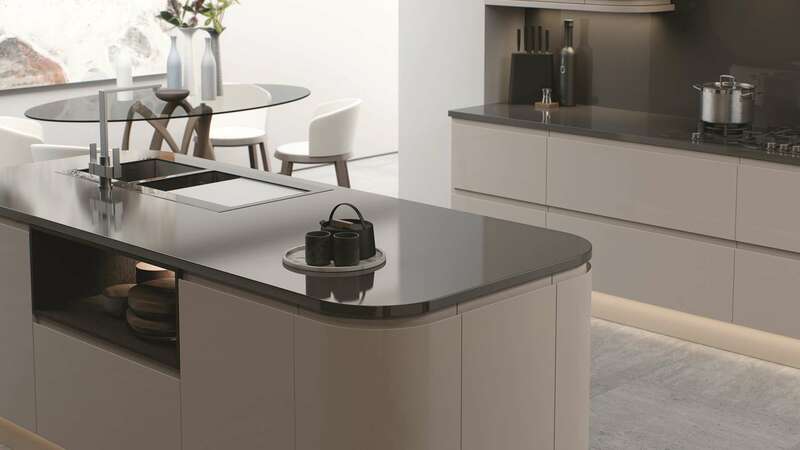 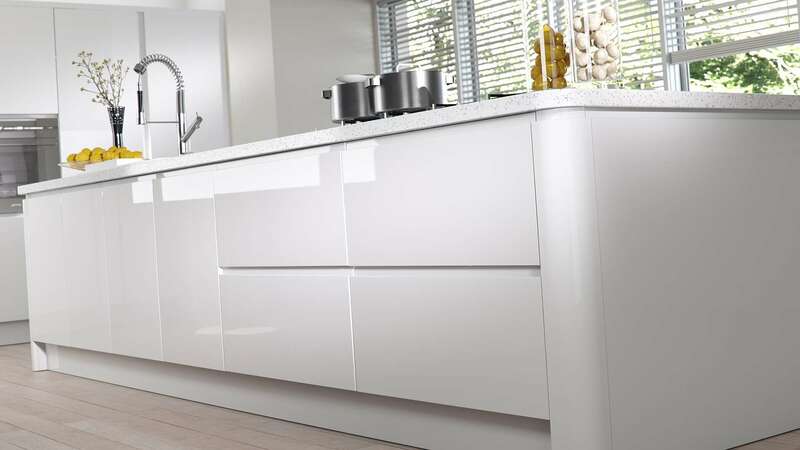 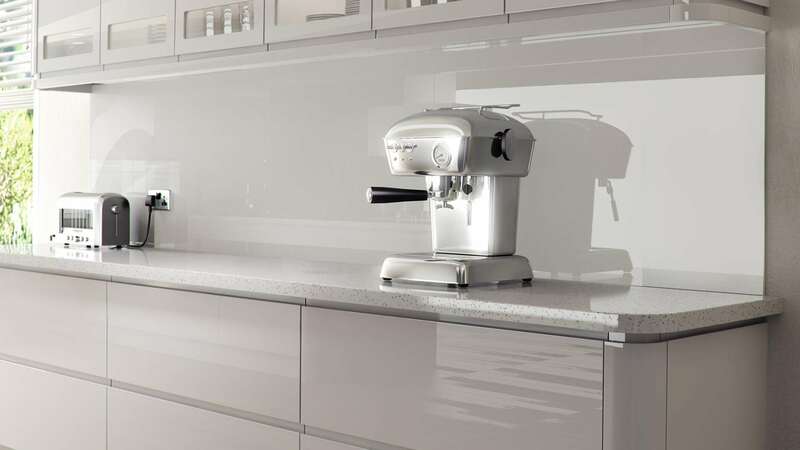 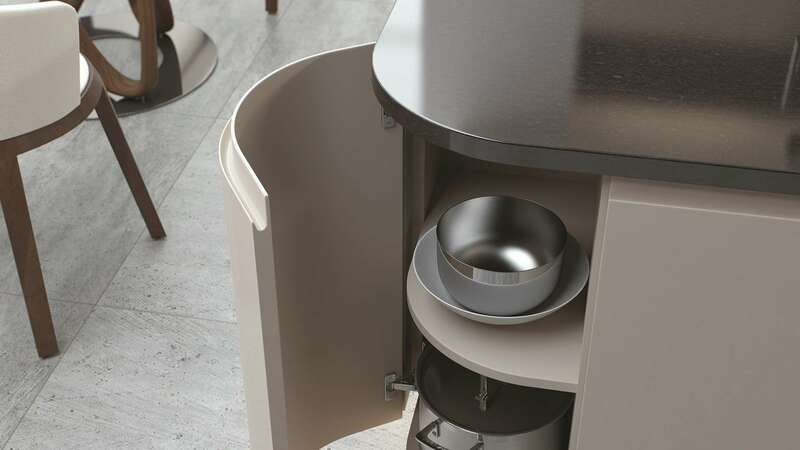 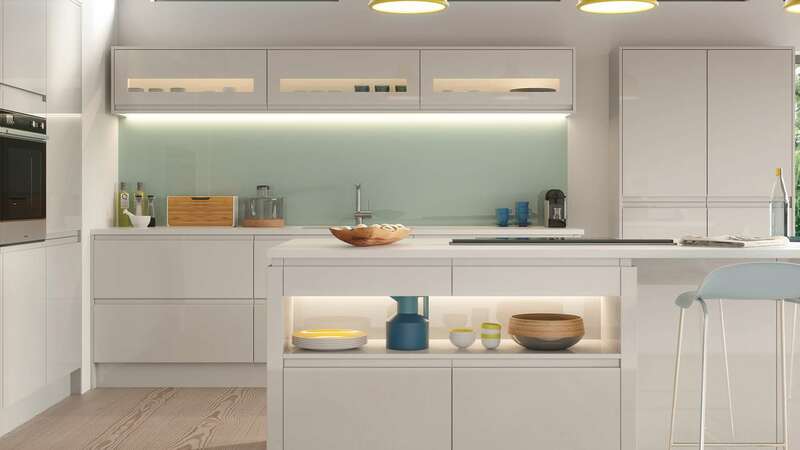 The stunning Strada Gloss kitchen is available in four colours - white, ivory, pale grey and cashmere. 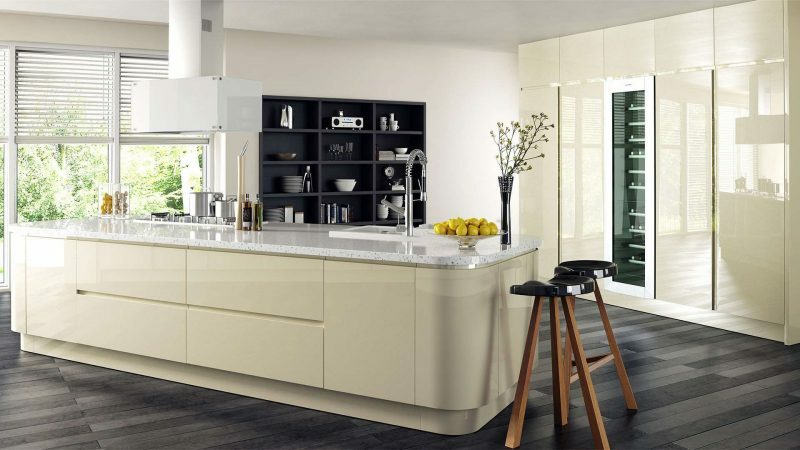 The polyurethane high gloss doors have the slab design. 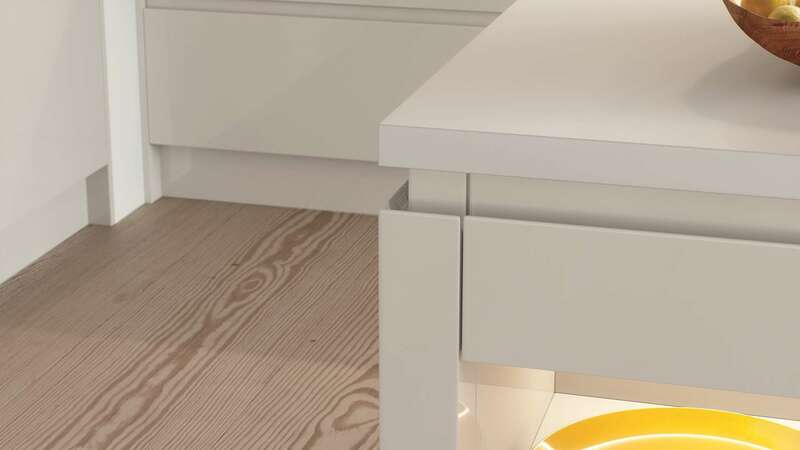 The doors and drawers are deliberately without handles, which isdaring yet delightful.